Like to know how to say “I love you” in Chinese? Like to know how to say “Thank you” in Chinese? Surf Chinese will help you out with that! 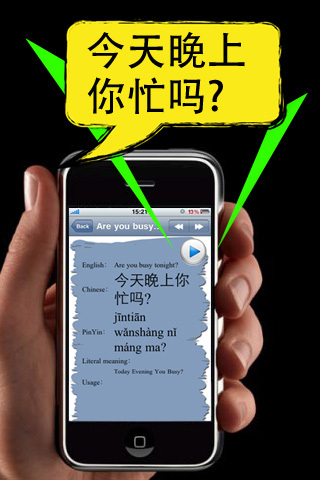 The Surf Chinese can give you a confidence-building overview of the most common and high frequency phrases to learn. Surf Chinese are quite suitable and helpful to people who have just come to China and need some basic expressions to communicate, or who are at the biginning stage of learning Chinese as a second foreign language. The TTS (Text to Speech) system gives a mandarin pronunciation with high quality which can help people learn pure and authentic Chinese. 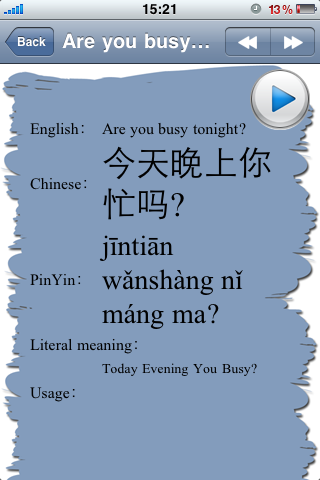 Everyday 10 expressions and keep on with it, you will find yourself on the way to fluently communicate with Chinese people! Click the play button on home page to the right to hear the corresponding Chinese expression of the English words or phrases. Go to the secondary page to check out the corresponding Chinese characters , literary meaning as well as usage of the words or phrases. All words and phrases are arranged in alphabetical order so that the phrases you want to know can be easily found out. 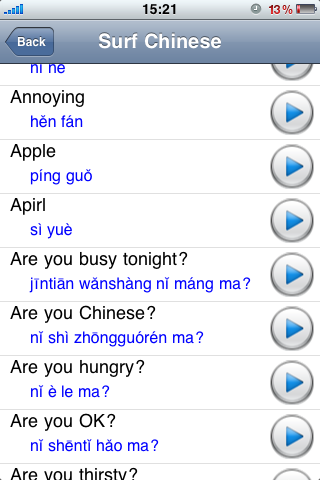 All words and phrases recorded are high frequency Chinese expressions which are very useful in daily conversation. You can not only see the Pinyin (the official Chinese phonetic system), but also hear a real person's pronunciation for each Chinese character. Please feel free to send us an email if you have any questions or suggestions. We will reply to you as soon as possible!